SH: You sub-title your book ‘a cultural history of insanity’. What would a concomitant ‘social history of insanity’ look like? In what ways would it differ? Is it possible to write a social history of insanity that traverses time and place in the way that Madness in Civilisation does? AS: In a certain sense, I don’t participate in those meta-debates about social, and cultural, and political, and economic history. One of the things that I think has been a hallmark of my career is that I don’t respect intellectual boundaries. I’m interested in substance; I’m interested in trying to understand the world or the particular portion of the world that has grown to fascinate me. Erecting neat divisions between this kind of history, or that kind of history, or between history and sociology seems to me silly. So, I’m able – I don’t know if I’m able, but I try – to span a variety of approaches. I would say that I began as what most people would think of as a social historian. Museums of Madness (1979) and the essays I collected in Madhouses, Mad-Doctors, and Madmen (1981). Then the later work I did on W.A.F. 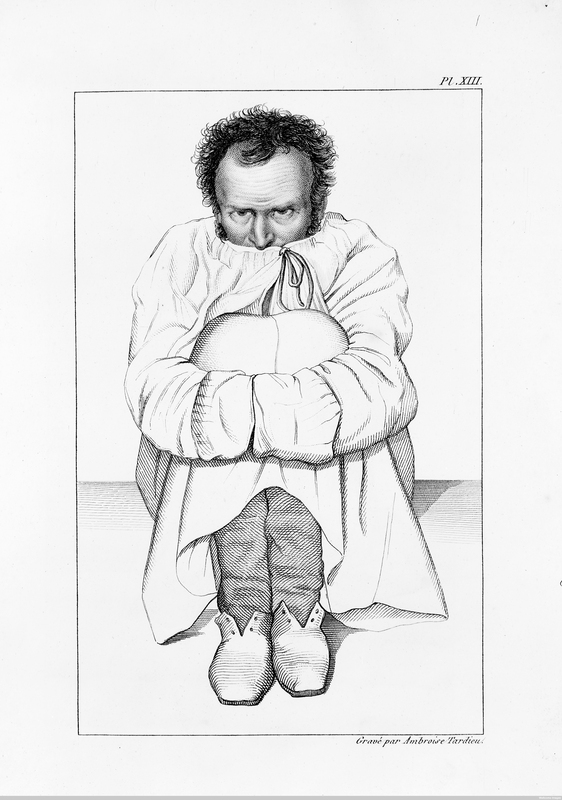 Browne and Scottish psychiatry, and then the work on the biographies of 19th-century alienists as a way of constructing a portrait of an emerging profession, and the tensions, strains, and different paths that might be taken. I started my work on therapeutics in the early 1980s, before it really became fashionable. The book that belatedly emerged from that work, Madhouse, is only a portion of the research I’ve done on the subject. I may go back to that work later on. I was going to write a book called Desperate Remedies, which was all about those extraordinary bodily remedies that emerged in the 1920s and 1930s that involved quite extraordinary experimentation on those poor folk. That earlier body of work I would think of as very much social history, very much concerned with the lives of ordinary patients – less so at the beginning, because I think obviously the trends within historiography have moved a lot. The importance of the patient’s point of view, that really wasn’t a theme that was present in the historiography in the 1970s when I began work in the field. 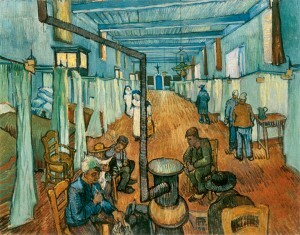 The patient’s perspective is very much a theme associated with Roy Porter’s work. I think Roy kind of encapsulated that trend, but he didn’t create it; it was coming as part of, I think, the… I don’t know if I want to use the word ‘ideology’, but the kind of guiding themes of social history were the lives of ordinary people and those who’d been left out of the diplomatic and political histories that had been the stuff historians mostly attended to in previous decades – the move to social history was very much part of the 1960s and 1970s atmosphere of politically progressive kinds of things. I have to say that for the most part I do find this distinction between the social and the cultural is somewhat artificial. In a way, they are two sides of the same coin. Yet I do understand what drives some to separate the two; It’s perfectly correct in conventional terms to say that this latest book is much more a cultural history than it is a social history. It was something I’d been contemplating writing for a very, very long time. SH: To what extent, given the time period and geographical dimensions of the book, is a cultural history possible because you are discussing ideas and mentalities. AS: Yes, I think that’s right and you had raised this question of whether it would be possible to do a social history. I think to do a social history in the way that we talked about it earlier, over that long a span, across so many cultures, would probably be impossible. I think as well that traces survive culturally in a way that there isn’t the comparable material socially. I think it is no accident that if you look at when the history of psychiatry developed, Parry-Jones’ book The Trade in Lunacy (1972) and my Museums of Madness both emerged really in the early 1970s. The book didn’t appear until 1979, but some of the essays had appeared earlier. 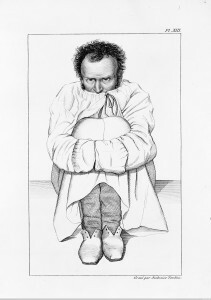 Maniac in a strait-jacket, in a French asylum. elaborate descriptions of what had led to the person being admitted to the asylum; you sometimes had correspondence with families. You had the superintendents and the staff themselves, and you learned a lot about staffing an asylum, and running an asylum, and what the challenges were. I think it’s possible to do social history in smaller bites, even quite large bites. There are a lot of people who’ve attempted the 19th century, and increasingly the 18th – much more difficult as you go back, unless you’re really fortunate and enormously talented. My friend the late Michael MacDonald, for example, did a book Mystical Bedlam (1983) using the papers of Richard Napier, who practised in North Bucks in the early seventeenth century. If you see even a few pages of Napier’s papers written in hieroglyphics. How on earth Michael learned to disentangle that is a mystery, but it was a treasure trove. In the hands of a really creative historian, he was able to tease a lot out and so we got a social history of various kinds of mad and near-mad behaviour in that little area. Akihito Suzuki’s Madness at Home (2006) makes use of Chancery proceedings and their reporting in newspapers to explore lunacy inquisitions. Nobody had thought to use those but Akihito did, to great effect. Doing really good, innovative social history of that sort on a grand scale I think would be virtually impossible. In that sense, when you decide to tackle things as broadly as I did in this book, you’re almost forced to adopt a cultural approach. This is not to say you don’t allude to the social and sometimes go into some depth about it. But you can’t consistently attempt that. I think, however learned you might be you couldn’t hope to tackle the long durée in the same fashion. The kind of narrative I was trying to produce, I felt reasonably comfortable about. Obviously, as I got closer to the areas I’d spent a lot of years intensively researching, from the late 17th century onwards, I felt more confident about extending the discussion into the social realm. By then as well, the story had become largely a Europe- and North America-focused thing, in part because I think increasingly the West was becoming the dominant force in the world. I talk a bit about imperial psychiatry and about the sort of extension of Western ideas and the clash, probably insufficiently, but the clash with indigenous traditions. SH: Do you see the study of these encounters between Western and more indigenous traditions as an emerging field? AS: There has been a lot of work in the last 15 to 20 years first on imperial psychiatry, in books like Jonathan Sadowsky’s Imperial Bedlam (1999) on Nigeria and Catharine Coleborne’s Madness in the Family (2009) on insanity and institutions in the Australasian colonial world. Akihito is working on psychiatry in Japan. I had a student, Emily Baum, who became very interested in psychiatry in China between 1900 and 1940, preceding the revolution, where the Rockefeller Foundation and missionaries were heavily involved in bringing European traditions in, but there was also a very strong indigenous tradition. It was fascinating because it’s a semi-colonial situation; it’s not really a colonial situation, but at the same time Western influences are pouring in. There’s both resistance and a desire for it; there’s this interesting kind of contrast. I think young historians increasingly are moving in that direction; they’re broadening the geographical range of things that we look at and looking at other societies. Inevitably, I think that involves Western medicine, but it also involves other traditions. SH: You have been critical of Foucault’s work on the history of madness. Overall how would assess the Foucault effect on historical scholarship? AS: Foucault was important in getting me into the field. In 1969 I read the English translation of Folie et Déraison (1961). It was one of two or three books that emerged at that time. 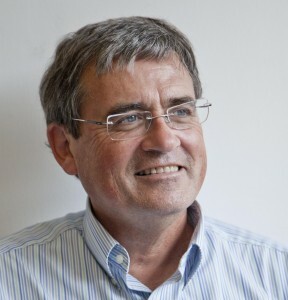 David Rothman had written The Discovery of the Asylum (1971) on the American discovery of the asylum, which while not Foucauldian advanced a sort of social control explanation of asylums in a Goffmanian sense, meaning juvenile reformatories, prisons, orphanages, as well as workhouses and what we would think of as asylums. Those books attracted me to the field. I think one of Foucault’s contributions – it wasn’t what he intended – was to make the subject of madness fashionable and intellectually respectable. If you look back to the 1950s, Kathleen Jones had written Lunacy, Law, and Conscience (1955), with a Whiggish perspective, heavily concentrated on Parliamentary enquiries, their findings, and legislation. There was little attention to what was going on in the asylums themselves, or who it was that came into them, or who ran them, or how that came about. I think one of the things Foucault sparked was a much more critical history, but also one that wanted to tackle big questions. As a graduate student starting out, you are always too ambitious for your own good. It’s actually a good thing on some levels, though not all, but the ambition and sweep of Foucault’s work helped to make the history of madness a topic that appealed to me. The critical tone of the book resonated to somebody who was a child of the 1960s. Certainly the notion that when people professed something that didn’t necessarily correspond to what actually happened (a point also emphasized in the Marx and Durkheim I was reading as part of my sociological training) made an impression on me, as did the question of what their other intentions might be, and even the lack of attention to intentionality in that book. All this appealed to me. But the more I delved into the history, the more apparent it became to me that this notion of a Great Confinement in the late 17th and 18th centuries just did not correspond to what happened and represented a travesty of the real historical trajectory. I was tempted to call my new book Madness and Civilisation, Foucault’s title,’ but I came to the view that Madness in Civilisation actually made one of the key points that I wanted to make: that it wasn’t something separate or antithetical. Really, very much it’s both liminal and central at the same time; madness is an experience that touches all of us, often very, very closely. I had a very dear friend who had postpartum depression and two years later killed herself and left her child orphaned. A fellow historian of psychiatry who wrote about suicide suffered enormously from depression himself. Madness is something we all either experience directly ourselves or in someone very, very close to us. I think it is part and parcel of human experience; it was important to make that point. SH: Your main criticism of Foucault is that he’s not a very good historian? AS: Right, he’s not. It’s funny because I’m not a professional historian myself, but I have spent a lot of time in the archives and I’ve done some very detailed work there. So I’m troubled when one of the icons of the field claims a connection between leprosaria and asylums that never existed, or creates a mythical Great Confinement of the Insane a century and a half before a real one comes along. You are constantly surprised when you undertake primary research. It is one of the things that I love about being the detective and going into the archives and working. I really respect that part of the historian’s craft. While I know that you can’t write global kinds of histories and do all the primary research or master all the literatures, if you don’t have at least some sense of what it is to work with primary sources first hand and of how historical accounts are constructed from their raw materials, then I think you’re not going to do a very good job. Foucault was very much confined to printed material and made little attempt to even read contemporary scholarship on madness, at least judging by the bibliography of his history of madness. SH: Let’s go back to the book and talk about what you see as the kind of continuities and ruptures over this very long historical period? AS: Yes, that’s a very tough question to deal with. I think one of the interesting things is that while you have dominant meanings at any point in time ascribed to madness, there are always subterranean, competing traditions. It is evident as early as the Greeks, of course, where you have both Temple medicine and Hippocratic medicine. You have supernatural interpretations and what purport to be more naturalistic but to our eyes seem pretty fanciful things as well. I think one of the ruptures, clearly, is the breakdown of urban civilisation in the West after that period, so the near loss of literacy, the loss of the Greek and Roman tradition, the importance of Islam in preserving that. I mean the Eastern Empire as well, but eventually Islam and the ways in which that re-enters Europe in the eleventh and twelfth centuries, and then with printing the interesting phenomenon of seeing Avicenna’s The Canon of Medicine being printed more often than Galen in the first 50 to 75 years. Clearly, the importance of that clash of civilisations and the way in which, ironically, it brings back in what we think of as the Western tradition. I think that was a very important moment, because from the mediaeval period on you clearly see religious interpretations remain very, very important and supernaturalism, witchcraft, and possession, and things like that. At the same time, there’s also a growing medical voice. Interestingly, relatively early in that period, what you see is the divines conceding that some cases are natural and belong to the physician. The debate is where to draw that line. Everything is fraught at the margins; everybody agrees there are some people who are clearly bad, and there are other people who are so out of touch with reality that we can’t conceive of them forming the intention to commit a criminal act, and therefore they can’t be punished. Over time those boundaries shift, obviously, and the same thing happened with medicine. The other important rupture begins as we see the medical views, instead of being a subordinate voice, if you like, an underneath voice, then coming to near parity becoming the dominant one. I think that’s very, very important. It coincides more or less with the rupture from centuries – millennia, really – where madness has been coped with largely within the family; if not within the family, in a series of ad hoc relations in the community, to a situation where it begins to be dealt with more systematically. That process, once it starts, really marks a great change. That was really the question that drove me at the beginning of my career when I wrote Museums of Madness. It seemed to me that a great change had happened. It didn’t happen when Foucault thought it did, but it was major. As with any historical revolution, it doesn’t leave the past behind. It has obvious antecedents, but there was something very different about the mass institutionalisation of the mentally ill that occurred in the 19th century. It spread all across Europe and North America. It didn’t spread to Japan, interestingly; Japan was both late adopting the asylum and has been very late in deserting it. I thought that was a fascinating part of the story. There’s a very haunting picture in the book of a Japanese man peering out behind wooden bars of an improvised cell. That must have been very like what we would have seen in the mediaeval period and the early modern period all across Europe. Madness is a very broad term; it encompasses such a wide range of conditions, and again it’s a boundary that shifts over time. Very often the arguments occur at the margins, rather than in the centre, but I think some of the mad were so unpredictable, so seemingly potentially violent, or perhaps actually violent, or otherwise destructive, either of person or property. Societies had to do something. What’s interesting is when we get to the 19th century that something becomes standardised. The history, once the asylum is introduced, seems to have very common themes, a very utopian set of expectations at the outset, often small institutions, which seem to work remarkably well – and, I think, having looked at the records, for a period of the time did work quite well. In that sense, you wish that it had been possible to replicate them, but in fact what happened everywhere is these mammoth asylums that lost most of the semblance of therapeutics. Not that they ever were places that just sucked people in forever, although for a lot of people that was true. There were always some who came in and out; there were families who took advantage of the system to get respite – rather as, if we look today at the circumstance of when patients who are refused admission or are discharged after short periods of time back to their families. Coping with a schizophrenic son or daughter is an absolute nightmare for people. No wonder they need some break, even if they are willing to take it on. Eventually, very often they are not and then the mentally ill end up homeless. That’s the tragedy of our time.